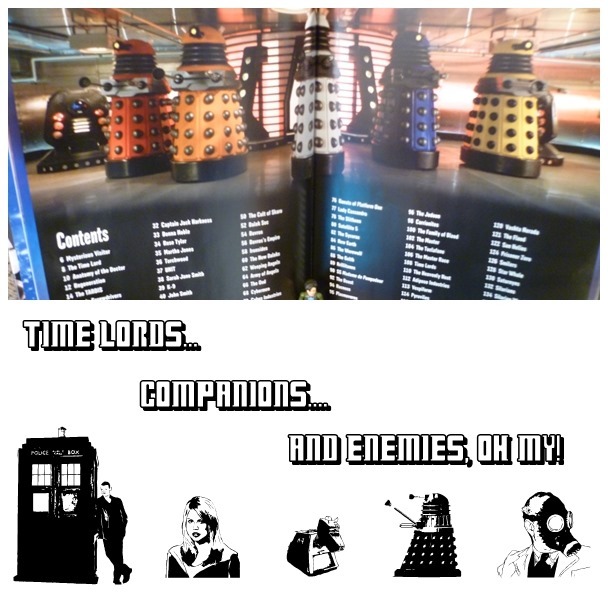 It wasn’t long ago that TechyDad was the only Doctor Who fan in our house. Then, one day, I decided to try watching the new series with The Ninth Doctor. Before I knew it, I was hooked and quickly catching up with the series. By the time Father’s Day rolled around, I was practically caught up and I knew that TechyDad really wanted to get the boys involved in the show, but they had little or no interest. That is when I bought them a special gift to give to him for Father’s Day. Yes, my purchase of When’s The Doctor slowly hooked the boys into interest in all things related Doctor Who. Once the summer started, the kids finally began to watch the series. I think it is safe to say that we now have two younger Whovians in the family. 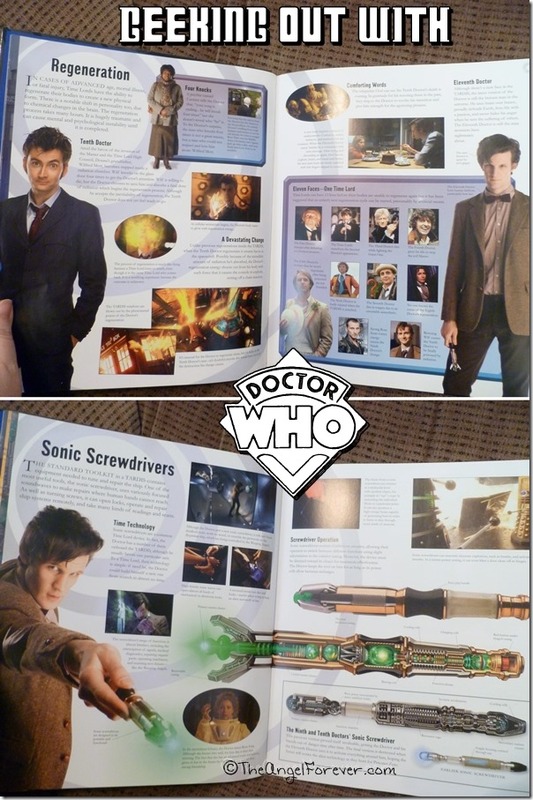 Not only did JSL want his own sonic screwdriver, but NHL would beg to know more about everything as he waited to watch the next episode. 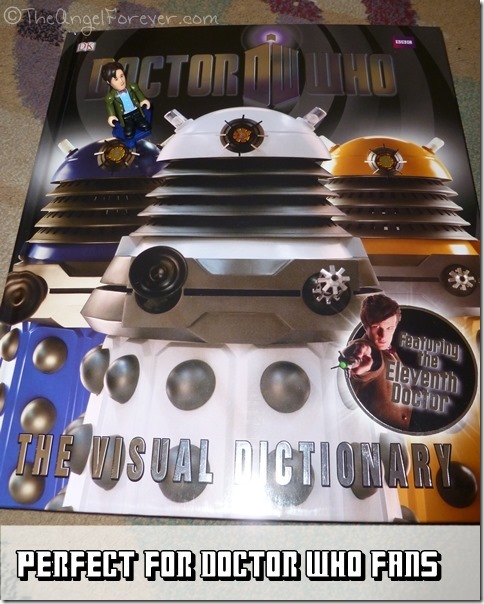 When I stared to get a few things for NHL’s tenth birthday, I knew there had to be something related to Doctor Who. NHL was in Doctor Who heaven. He kept racing through the book looking for people, places, and things that he has seen. Just days before he received the book, the boys had gotten a few episodes into the David Tennant years. Thanks to this, NHL knew what happened to the Ninth Doctor and how the Tenth Doctor came onto the show. Of course, if you look at the table of contents from this DK book you will see there is a lot within this dictionary. My somewhat reluctant reader has already spent a lot of time diving into this book. The visual dictionary is nearly 150 pages long and filled with beautiful photos of some of the most memorable parts of Doctor Who. In addition to this, there are fantastic facts about the history of the show, characters, places they have traveled, and times they have visited. You can quickly read about the eleven Doctors that have already been a part of the history and see exactly what a sonic screwdriver is for. Then my favorite part was looking at a character that was near and dear to me. 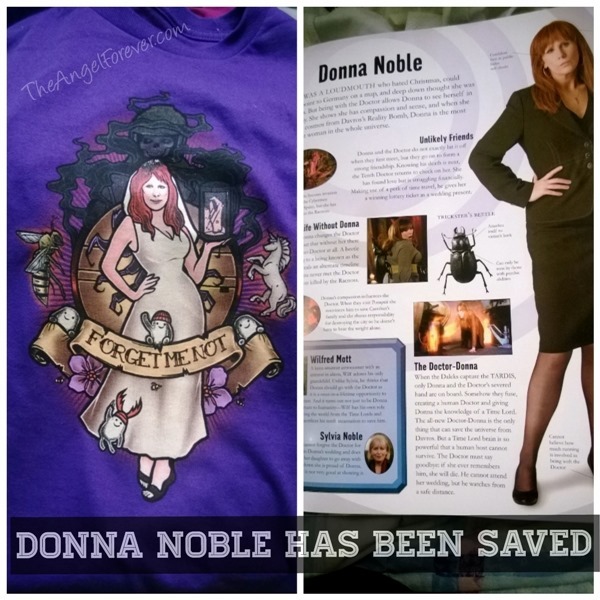 For Doctor Who geeks, you will get my message below about Donna Noble and the shirt I purchased from TeeFury. If I can get the book away from NHL long enough, I will take some time to read more. No doubt there were items that I missed while watching the show. Now, TechyDad and I are trying to stop him from reading spoilers. Have you ever watched Doctor Who or read books about the show? As always, Tuesday Tales is all about sharing our love of books. Please let me know what you have read recently. Be sure to link up to your book posts in the comments below. Include something you read on your own, with a child, or someone else. I am so asking for this for my birthday! I know my boys would love to look at it with me… and it’ll be nice to have while waiting for the 50th Anniversary, Christmas special and the new season coming!